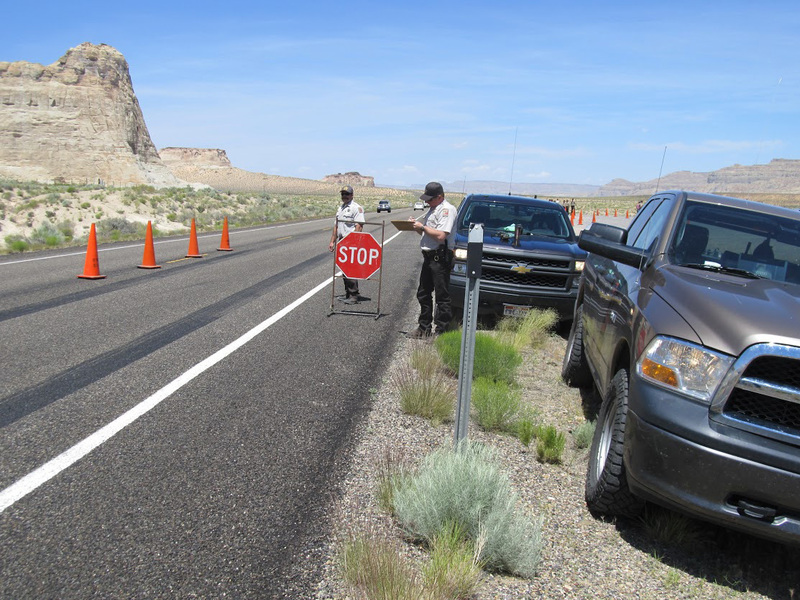 LAKE POWELL – Utah Division of Wildlife Resources is conducting watercraft checkpoints near Lake Powell to inspect for quagga mussels. 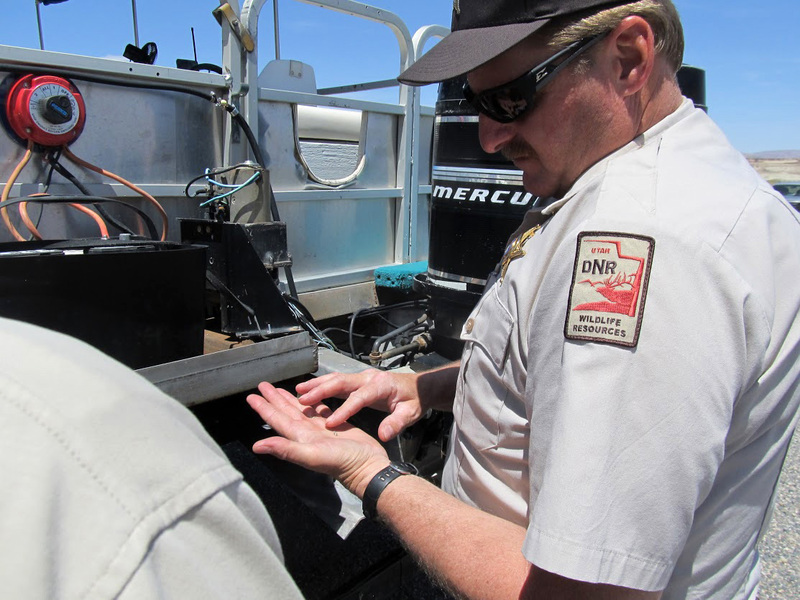 The first was held May 13 and dead quaggas were found on one of 11 boats checked by conservation officers near Big Water on U.S. Highway 89. The boat owner was given a warning for not completing the first part of a three-step decontamination process — cleaning mud, plants and debris off his boat after removing it from Lake Powell. Lake Powell is infested with quagga mussels, DWR Aquatic Invasive Species Coordinator Jordan Nielson said. Simply put, there are three steps to decontaminate your boat: Clean, drain and dry. Drying your boat for a specific period of time after being on Lake Powell must be completed before the boat can be placed on a water other than Lake Powell. Dry times vary during different times of the year. For example, in the summer, you must allow your boat to dry for seven days before placing it on another water. If you want to place your boat on a body of water sooner than the seven-day drying time, you’ll need to get it professionally decontaminated. In Southern Utah, boats can also be decontaminated at Sand Hollow State Park, located at 3351 South Sand Hollow Road in Hurricane, and operating daily from 7-9 a.m. and 3-5 p.m. For more information call 435-680-0715. Mandatory inspection stations are in place for any vehicles towing or carrying watercraft at the Port of Entry off Interstate 15 just south of St. George and at the Daniels Canyon port of entry in north-central Utah. DWR Contact: Heather Talley, southern region wildlife recreation coordinator | Telephone 435-868-8756. “Waters they were meant to live in…” These are native to the Ukraine. Just wash your boat. so how they gonna keep the 120 mile-long lake powell pipeline clean?